This is amazing: One Canadian reporter had the honor of interviewing Breaking Bad's Bob Odenkirk (better known as Saul Goodman) — and he missed it all, because the reporter had no idea who Bob Odenkirk was during the interview. Odenkirk's series Fargo is currently filming up in Calgary, Alberta where Global News reporter Gil Tucker grabbed Odenkirk for a man on the street report. Unfortunately Tucker didn't realize that he hadn't just stopped a pedestrian, but actually one of the stars of the show. "What do you see over here, eh?" Tucker asks pointing at the film set across the street. "They're shooting the show," Odenkirk answers. "Are you working with them?" asks the oblivious reporter. "Yeah, I'm an actor," Odenkirk replies, clearly a little confused. The reporter than answers, "Oh, I didn't know that." No kidding! It quickly became obvious that the reporter either never watched Breaking Bad , heard about Better Call Saul , or was partially blind (OK, OK, to be fair, Odenkirk was wearing a hat) but that didn't stop him from detaining Odenkirk with a series of mundane questions like where was he from (Chicago) and asking him to demonstrate his best North Dakotan accent. 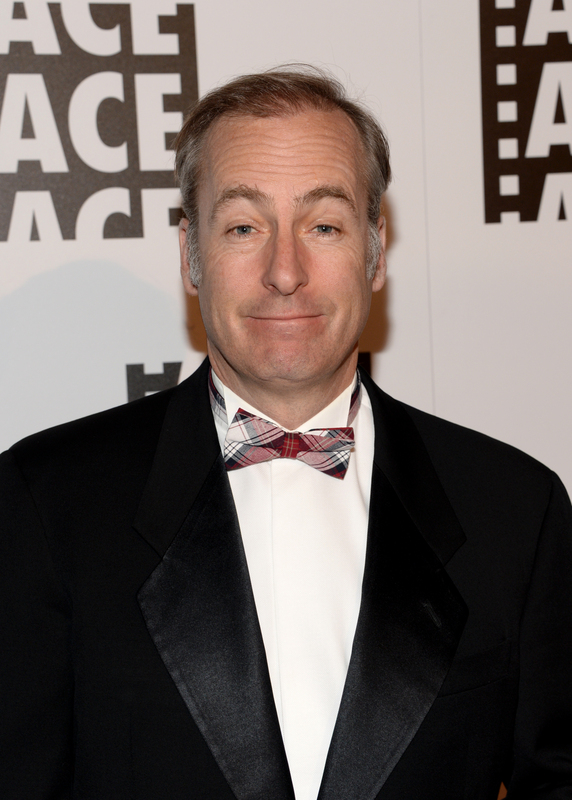 To his credit, Odenkirk is surprisingly patient throughout the interview, answering all Tucker's questions and even giving an example of some of his dialogue. When he finally manages to extricate himself from the cringe-worthy interview, Tucker embarrasses himself once more by shouting after him, "Hey, what's your first name?"